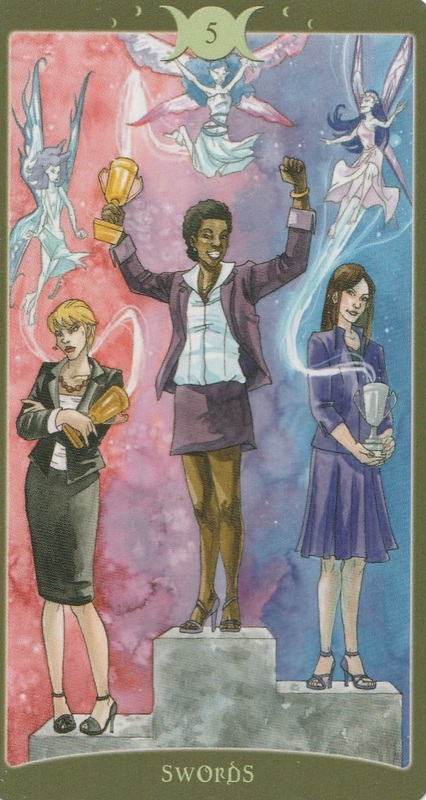 It’s the 21st week of the year and the card of the week is the 6 of Wands. This is a card of achievement and recognition! Mercury Stations direct and it’s time to celebrate. You made it through another Mercury Retrograde and you will see things improve from Sunday on out. This week calls to question what you learned from any loses you experienced this retrograde season, especially loses in material matters. The number of the week is 3, a number of things coming together. 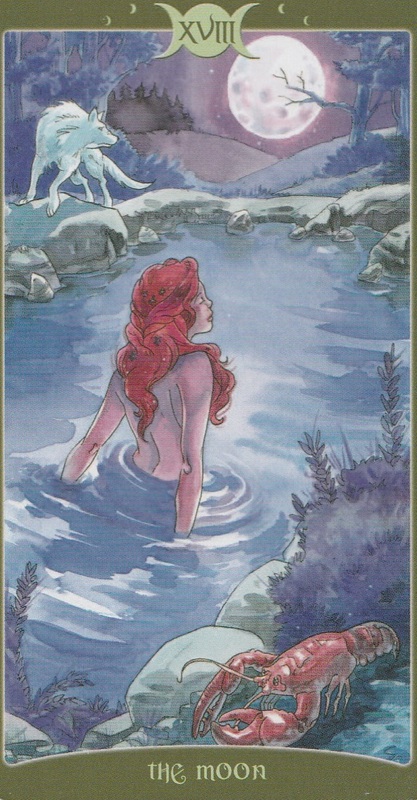 The Empress is a card of fertility and abundance. The Moon waning and if you’ve achieved the right balance, the intentions you set for New Moon are coming to fruition. The Empress invites you to enjoy the bounty in your life. Sun opposition Mars at 4:17 AM PST comes just before Mercury Stations direct at 6:20 AM PST. As the direction change approaches, expect life to intensify. The intensity will continue for the rest of the day. Keep an eye on all aspects of your material life because Mercury Retrograde also happened in Taurus, the same sign that rules the Empress. Moon square Neptune at 11:21 AM PST may tempt you to give into illusions but today is a day to focus on what you have, not what you wish you had. Moon square Jupiter at 2:31 PM PST could bring egoistical attitudes. Once again, watch your wallet because the temptation will be there to overspend. Moon conjunct Saturn at 3:20 PM PST could bring a wave of pessimism and depression. This could be linked to loses that are linked to Mercury Retrograde. Recognize that the things you lost had to be taken in order for you to grow. The Moon is in the energetic, athletic sign of Sagittarius. If you want to bring balance back to any places in your life that may feel topsy turvy today, do something physical or lose yourself in pursuits of the mind, like philosophy. The number of the day is 9, a number of endings becoming beginnings. Mantra: Sometimes the things that block us the most are the things that we’re the most attached to. 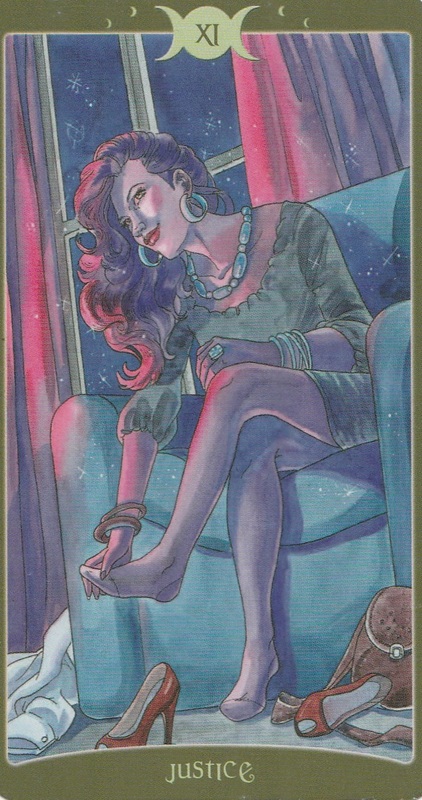 The card of the day is the 9 of Swords, a card of obsessive thinking. The Post Mercury Retrograde Shadow Period is still in it’s intensified stage so you may still be feeling some echoes of the lingering energy. You could find yourself going over your woes, especially ones regarding finances over and over again. But what do you achieve by constantly worrying? Moon trine Uranus at 8:27 AM PST encourages you to do something different and exciting. The opportunity is there to make constructive changes that will lead to things working in your favor. But you need to get out of your head to see what is being offered to you. The Moon is void of course in Sagittarius for most of the day so it’s a good time to end old patterns. The number of the day is 1(0) a number of new beginnings. Mantra: Nightmares fade as soon as you open your eyes. Whereas Justice upright represents the truth, Justice reversed represents trickery and lies. It can also represent being judgmental of others, causing you to miss opportunities. Venus enters the chatty, witty sign of Gemini today where she will stay until 6/17/16. While Venus is in Gemini, people may feel inclined to be more flirtatious and spontaneous that usual. Venus opposition Mars at 7:38 AM PST will bring highly charged sexual energies to the forefront. If you feel fulfilled in your love life, this will be a good transit for you, but if not, you may feel frustrated. This frustration could lead to conflicts with people you are romantically or desire to be romantically involved with. A good way to keep this energy from spinning out of control is to lose yourself in wrapping up creative projects. Moon trine Neptune at 9:27 PM PST will bring intuitive, empathetic energy to your evening. If you have been wronged, expect those who lend an ear to be sympathetic. However, if you’ve wronged another, don’t expect for others to side with you. The Moon is in the strict sign of Capricorn today, teaching us all we need to know in order to clear the negative feelings lingering from Mercury Retrograde loses. The number of the day is 2, a number of balance. 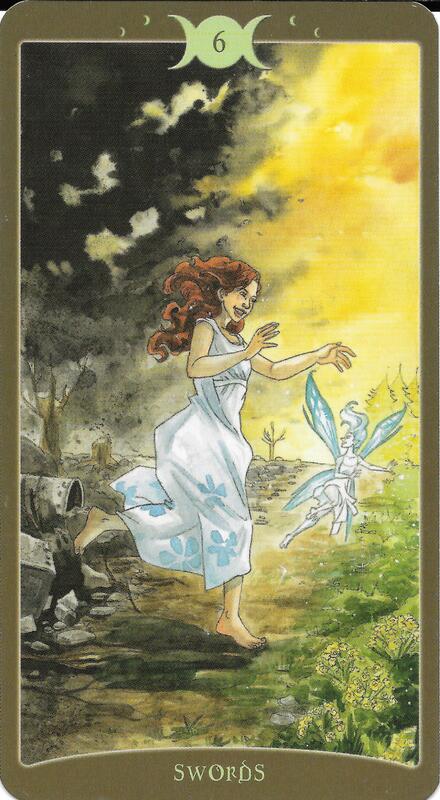 The 5 of Swords is a card of walking away from a situation that is most likely a draw. Nothing can come out of continuing this conflict so it’s time to move on. If you decide to be done with this, then your financial life could see big changes. Moon trine Jupiter at 12:39 AM PST will bring happiness, harmony and flow to the wee hours of the morning. Moon trine Mercury at 2:35 AM PST will get communication flowing. If you are asleep during these transits, these themes may appear in your dreams. Moon conjunct Pluto at 7:21 AM PST could bring intense emotions. Be careful not to fall into obsessive thinking, a theme that has prevailed through the week. Moon square Uranus at 6:11 PM PST could leave you jumping to conclusions so think before you act. The Moon is in the challenging sign of Capricorn until it goes void of course at 6:11 PM PST. The number of the day is 3, a number of things coming together. Mantra: Break the cycle and walk away. 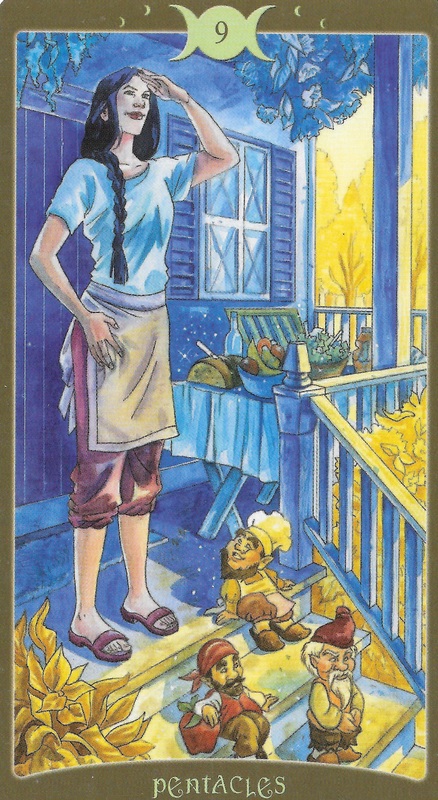 The 9 of Pentacles is a card of financial freedom. 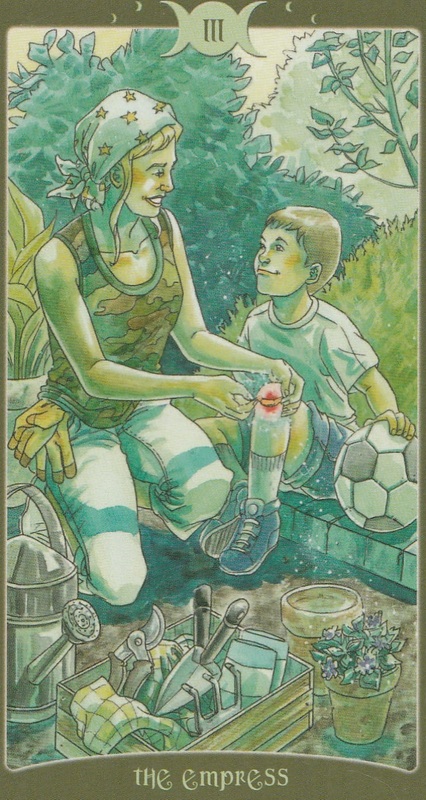 Traditionally, the woman on the card is pictured the lush garden. She everything she wants and material things flow to her freely. Jupiter square Saturn at 5:28 AM PST could tempt you to cut ties with people but hold off until this transit passes because this is an impulsive transits. Moon sextile Mars at 8:04 AM PST will bring empowered feelings that could lead to you to taking a leadership role. Moon trine Venus at 12:59 PM PST will bring happiness, harmony and flow to your afternoon. Moon trine Sun will at 6:58 PM PST will keep the good vibes flowing into the evening. The Moon is in the passionate sign of Scorpio so make sure you do something that sets your heart on fire to get the most out of today. The number of the day is 4, a number of stability. Mantra: I can have anything I want as long as I am thankful for what I have. When the Moon appears, it’s a sign that things are not what they seem. The Moon is a card of being lost in the fog that separates deception from truth. Mars comes home to the illusive sign of Scorpio today where he will stay until 8/1/16. 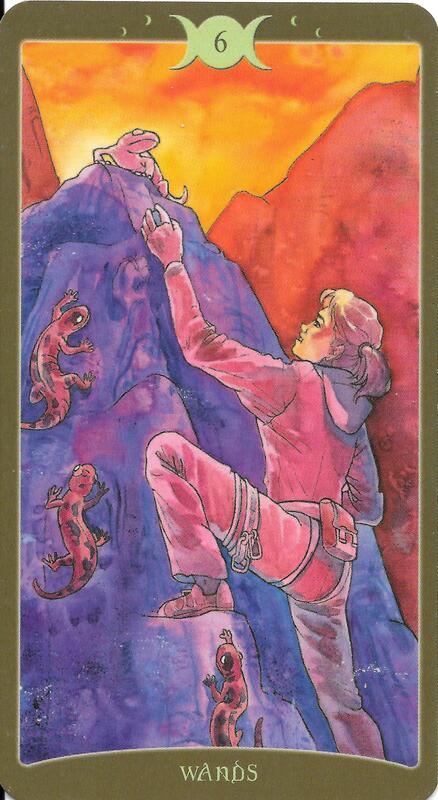 When Mars is Scorpio, people are inclined to be intensely focused on their goals. This is a great time for you to gather the energy you need to trigger the manifestation release that is available when Mars goes direct on 6/29/16. However, don’t let your anticipation turn to pint up aggression. Moon sextile Saturn at 8:32 AM PST will allow you to see how to approach situations with a logical mind. However, this may not last for long because Moon square Mercury at 11:44 AM PST could bring distracting thoughts that lead to difficult to communicate. If you have a great idea that you just can’t get across, take a step back, write some notes down and come back to it later. The Moon is in the revolutionary sign of Aquarius, reminding you that it’s not always advantageous to be a one trick pony. The number of the day is 5, a number of overcoming hardships. Mantra: Sometimes the hardest ideas to understand are things that are new and different. 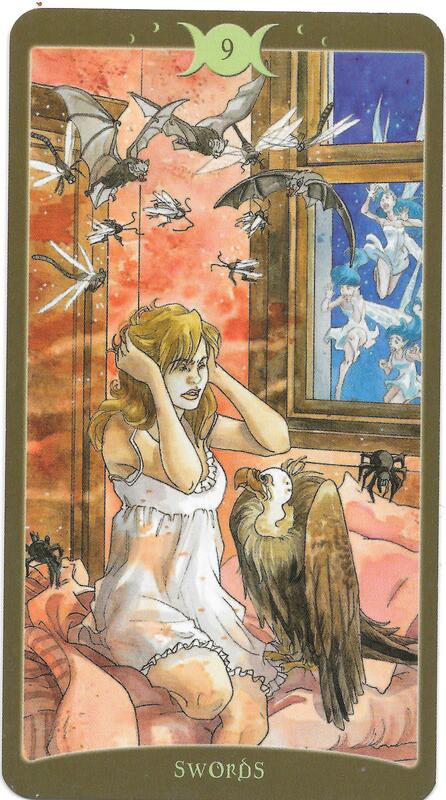 The 6 of Swords is a card that indicates distance is sometimes needed to overcome a challenge. Moon sextile Uranus at 1:36 AM PST may inspire you to suddenly get out of town as a way to gain a new perspective. You’ll find the answers to your questions in new people and places. Moon square Mars at 1:19 PM PST may cause you to feel irritable or angry, especially if there’s bumps in your plans. Don’t worry, just like this situation, your emotions will pass. The Moon is in Aquarius from the morning until the early afternoon, feeding your need for adventure and excitement. Try to take a break from doing too much between 1:19 PM PST and 2:06 PST when the Moon goes void of course. For the rest of the day, follow your intuition and do what feels right. The number of the day is 6, a number of victory. Mantra: Sometimes you’ve just got to get away!